Going back to school can be an exiting time for both parents and their children. It is a time of change, reflection and anticipation. Get your children ready for the new school year by turning ordinary school supplies into something creative and unique. Many of these items also make thoughtful gifts for a new teacher. Most kids carry backpacks to school every day. Help them decorate and customize their packs with some simple craft ideas. Kids love backpack tags, and they'll love showing off their own personalized designs. Prepare plastic according to package directions (some brands require sanding before decorating). Cut out a shape you like, such as a tag, an apple, a star, or a circle. Remember that the piece is going to get about one-third smaller in the oven, so keep your piece bigger than you'd want it to turn out. Have the child write his or her name on the tag, or write it for them if you have very small children. Let your child to decorate the tag with markers, colored pencils, rubber stamps, stick-on jewels, and other fun embellishments. Use a hole punch to make a hole in one end of the tag. The hole will shrink too, so make it bigger than you have in mind. Bake the tag according to package directions. Use a key ring or lanyard hook to attach the tag to a zipper pull or the fabric hook on the backpack. You can also tie these tags onto zipper pulls using ribbon or string, or consider sewing them directly onto the backpack using a needle and thread through the prepared hole in the tag. Choosing the perfect backpack is an important part of back to school preparations for many children. Instead of picking out a pre-decorated backpack, consider having your child use fabric paint to embellish a plain one. They can personalize it by writing their names, adding a quote or slogan to show support for a favorite sports team or using a stencil to create a design. 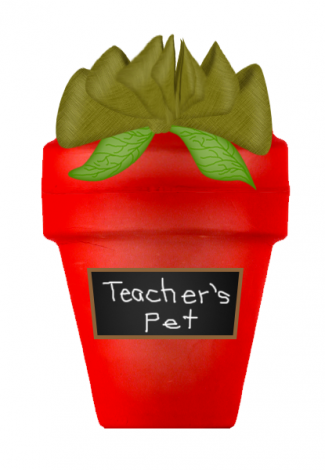 Show your appreciation for a special teacher by creating a useful and decorative gift. Decorating a series of note cards that she can use throughout the school year is a thoughtful and useful gift. You could also write a clever learning-themed quote onto the front of the cards and add some stickers or embellishments. Add a pen or pencil for a gift that's both memorable and practical. An apple for the teacher takes on a whole new spin when the apple itself becomes a functional, decorative piece. Give this or another gift to the teacher on the first day of school as a useful and decorative gift. Older kids who have lockers at school typically enjoy decorating them to add some personality to the space. 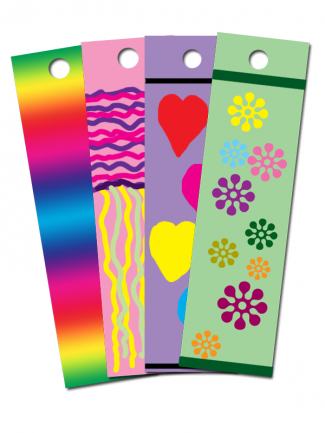 Decorative magnets can help hold things such as notes, photos and homework assignments in school lockers. You can make almost anything into a magnet with a purchased small round magnet or magnetic strip and a hot glue gun, or you can buy magnets that have sticky material on one side so you can just peel and stick. Use decorative card stock, photos, marbles or small toys to create magnets. These magnets also make a good gift for kids to give their peers. 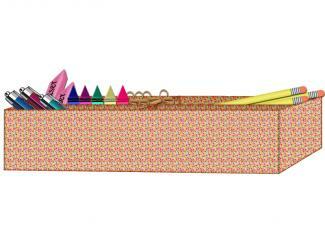 Your child can make a personalized locker caddy to keep her locker neat and organized. Cut a slit down the middle of one, leaving an inch or two uncut. Cut a short slit, about two inches long, into the other piece. Fill with pencils, hairbrushes, and other important supplies. Notebooks are a staple on most school supply lists. 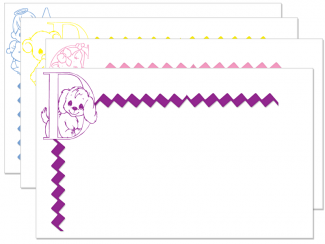 Make them stand out by creating covers that will help your child identify her notebooks quickly and easily. Kids of all ages need notebooks to write notes in during class. Creating special covers for these books is a fun project for parents and kids to complete together. When you've got everything looking just the way you want, cover the construction paper with clear Con-Tact paper. You can also create a decoupaged collage cover for a notebook or three ring binder. This provides the perfect way for kids to display pictures featuring their favorite people, places, and things. Young kids might like a collage of family pictures, while older kids would like to use pictures of themselves hanging out with their friends. This is a fun way to keep summer memories close as the school year begins. When the Mod Podge is completely dry, cover the surface with one or two more coats of Mod Podge to seal and protect your project. There are many other useful and decorative crafts that can be done to celebrate going back to school. Everyone needs more bookmarks since they always seem to be getting lost. Make plenty of these useful items to keep at home and at school. After a long summer, it's great for kids to be able to see their friends at school. Make a special souvenir of their reunion by helping your children to create a homemade autograph book that their friends can sign. Depending upon the rules at your child's school, you could even visit on the first day to take a few pictures to add to the book at a later date. Tie the pages together with yarn. If you are still looking for even more cool ideas, consider help from DIY guru Bethany Mota in her DIY Back-to-School video. 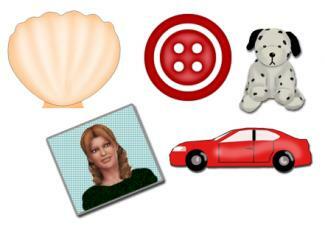 Anticipate the start of a new school year by making some of these functional items together. To create a sense of ownership, encourage your kids to select crafts they want to create. Eliminate the possibility of frustration by helping them choose crafts that are age appropriate, then let them do as much as possible without your help. Crafting is a great way to get the whole family into back-to-school mode.